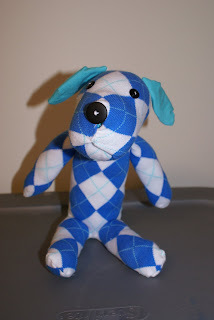 Dresden Lane: Quite possibly the cutest thing I have ever made! I was absolutely THRILLED with how this cute dog came out. It took me forever to figure out the whole mouth/nose part, but it was worth being patient and trying to figure it out. 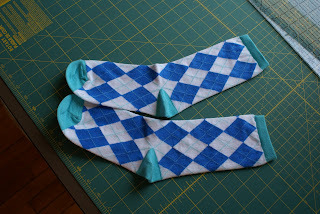 I got these socks at Target for a very nice clearance price and I have since returned to two Target stores to get more socks, as they are perfect for this craft (great price, perfect length, etc.) I sent this little guy to my awesome sister-in-law for her birthday. (Bytheway, he has a cute little tail, you just can't see it in the picture I took).